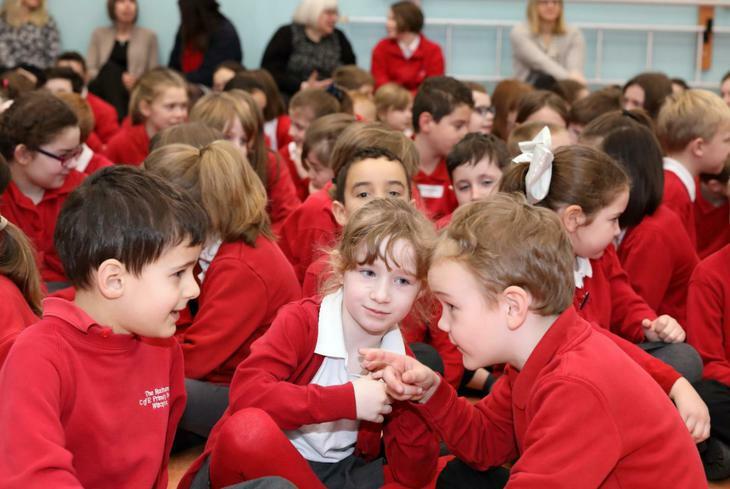 As a Church school we have a distinctive character where Christian values are promoted in all aspects of school life. We encourage all members of the school community to promote a Christian ethos where care and respect is shown to everyone. We enjoy strong links with the Parish Church of St Andrews. Members of the church community are timetabled to lead collective worship on a weekly basis and we regularly walk over to the church for times of worship. Other members of the church visit regularly to support the school and the learning of the children. Our School was founded in 1844 by Rev. Hanworth Rackham who ran a day and Sunday school which accomodated between 70 and 100 pupils. Children paid a penny a week to attend. Rev Rackham was the vicar of Witchford, until he died in 1884, and the primary school was named after him. Recognising its historic Christian foundation, the school preserves and develops its strong Christian ethos and religious character in accordance with the principles of the Church of England and in partnership with St Andrew's Church and the Diocese of Ely. Our purpose is to sustain - within a Christian environment - the highest standards in academic, intellectual, creative, social and personal spheres where everyone learns and achieves whilst supporting and encouraging each other. We try to treat each other as we would expect to be treated ourselves. We try to build each other up as highlighted in the Bible. We try to live in harmony within our community. We are very lucky to have the support of The Revd Canon Fiona Brampton who is Vicar of Haddenham and Wilburton and Priest in Charge of Wentworth and Witchford:. We are also fortunate to have Rev. Dr. Jenny Gage who is an associate priest for the Grunty Fen churches and whom also sits on our board of governors. Both of these licensed clergy lead on a whole school act of collective worship on a weekly basis and these sessions are widely enjoyed by the whole school community. Throughout the year we have a range of visitors and events that support our Christian vision. We explore other faiths during RE lessons so that children are taught to question and enquire about the world around them. What will my child experience in Collective Worship at The Rackham? Bible exploration, prayer and worship. Themes include Bible stories from The Old Testament linked to values, or celebrations in line with the church calendar. Led by Canon Fiona Brampton. Values leaf celebration, Head teachers Awards, Sporting and Musical celebration, house point celebration. Led by Mrs. Harrison. Rackham Collective worship is based on the liturgy or pattern of Church of England Services. This helps staff and children to become familiar with its language and traditions so when they visit the church building, they can understand and take part in their services in a meaningful way.